25mm Goblet Knob Inspired by objects of royalty the 25mm Goblet Knob of the Martha Stewart collection by Liberty Hardware brings class and nobility to any kitchen or bathroom cabinetry. The high-quality zinc die-cast material provides a sturdy, long-lasting piece of hardware. 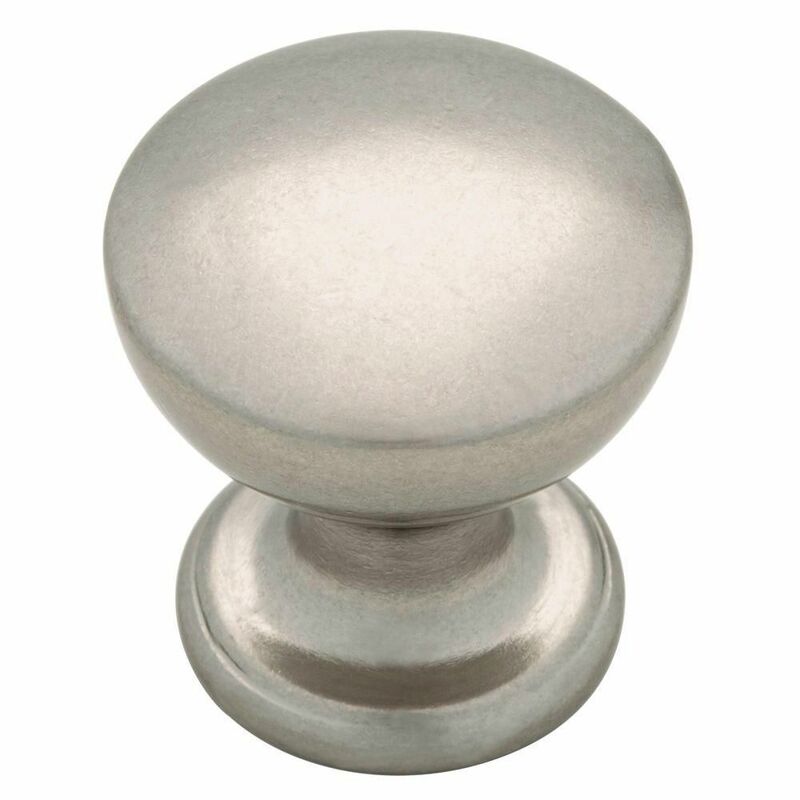 The Bedford Nickel finish coordinates well with most decors as well as with other pieces of cabinet hardware. 25mm Goblet Knob is rated 4.6 out of 5 by 7. Rated 2 out of 5 by Terri from The knobs are too small for kitchen cabinets.... The knobs are too small for kitchen cabinets. Rated 5 out of 5 by milkbucket from Really, really like these knobs. The finish on them makes them look like they are original, so t... Really, really like these knobs. The finish on them makes them look like they are original, so they match my country kitchen perfectly. Rated 5 out of 5 by Anonymous from Perfect! I love these knobs! They look fabulous and are heavy duty. Added the perfect touch to my kitchen. Rated 5 out of 5 by Bear from Kitchen Hardware for Cabinets Extremely pleased with the look of these knobs and their quality. No problem with installation and the overall look is classic. Rated 5 out of 5 by bocavilla from EXCEPTIONAL QUALITY & STYLE I could not be more pleased with the 35 knobs purchased. All were perfect and made a big difference in updating my cabinets with minimal expense. Value for the $$ is an A++++++. Easy to use/open cabinets unlike some knobs. Buy them you won't be dissappointed.